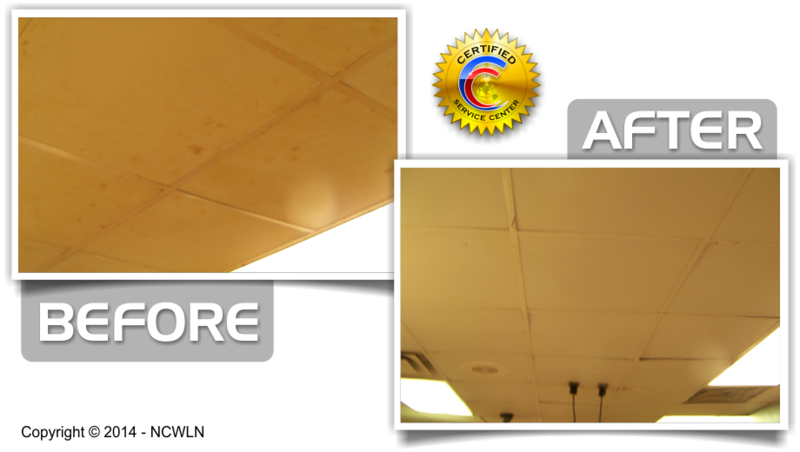 Acoustical Ceiling Cleaning & Restoration experts since 1987. 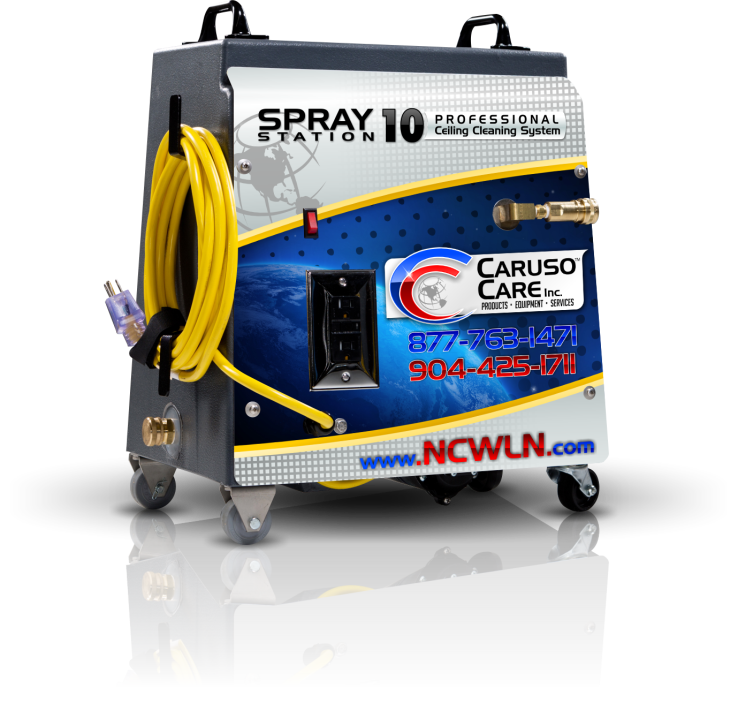 Caruso Care’s – National Ceiling, Wall & Lighting Network can help you not only solve several areas of facility maintenance, such as Acoustical Ceiling Restoration, Exposed Overhead Structure Cleaning, Lighting, Walls and other areas of Specialty Cleaning needs, but, you will improve your facilities appearance and more importantly improve operational expenses of contracting, coordinating, and dealing with several vendors. Tell us about your Project and let the best start helping your today. 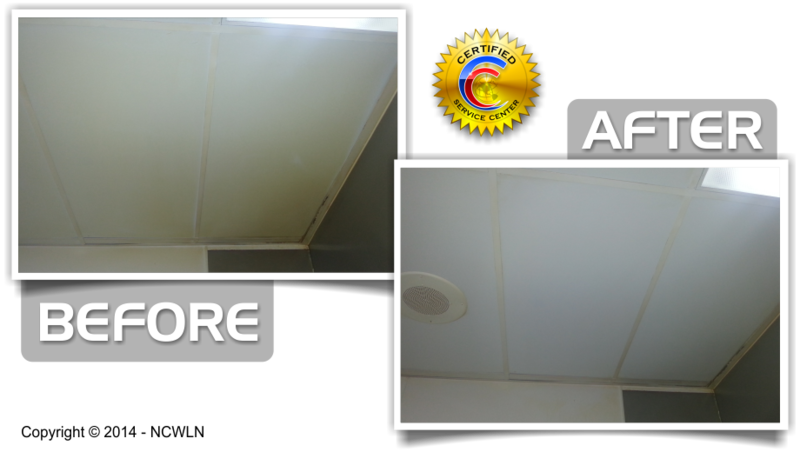 We have delivered our CEILING CLEANING PRODUCTS AND CEILING CLEANING SERVICES all across the USA (from New York to California, from Michigan to Texas) using our exclusive CEILING CLEANING EQUIPMENT AND METHODS to handle any size job. TELL US ABOUT YOUR PROJECT NOW! 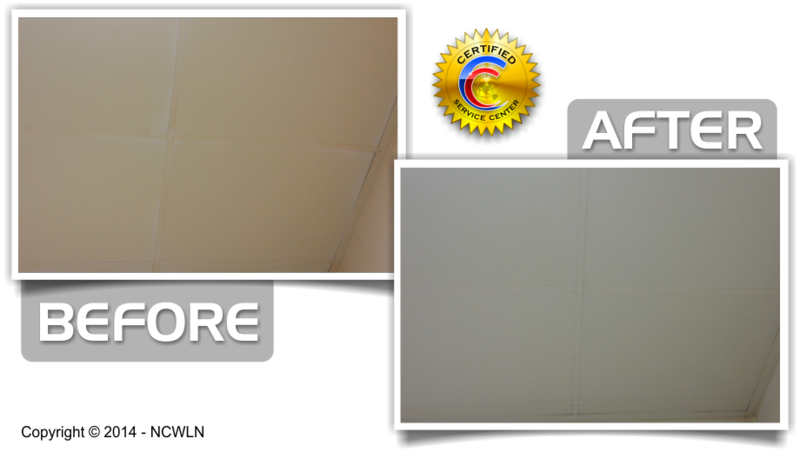 Acoustical Ceiling Restoration Experts for Your Business. Let us help you Now! 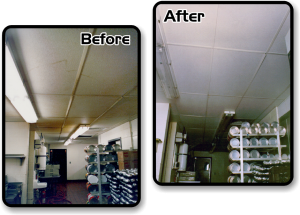 Acoustical ceiling restoration is a problem for business owners and managers, and until a couple of decades ago had only two viable remedies….painting the tiles or replacing the tiles. 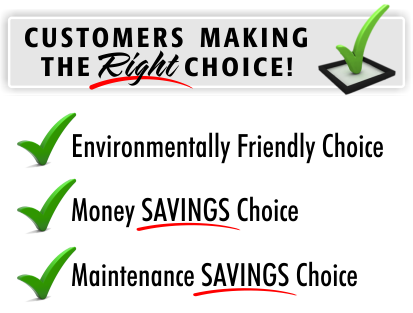 Today, after more than 28 years of educating customers and proving our methods for cleaning, caring, and the maintenance of acoustical ceilings and exposed overhead structures customers can choose a better alternative and be Environmentally Responsible for the impact to our Earth. We have reached customers, both large and small everywhere and have saved millions of dollars for our customers. 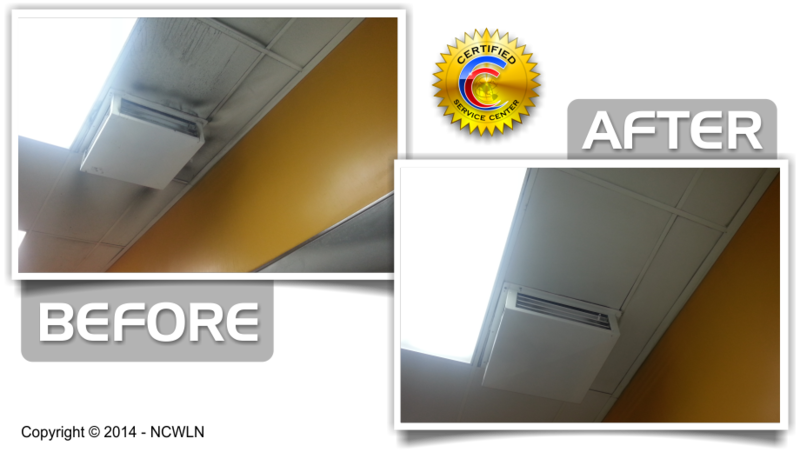 Today, our customers are writing in the specifications to clean the acoustical ceilings. Why? 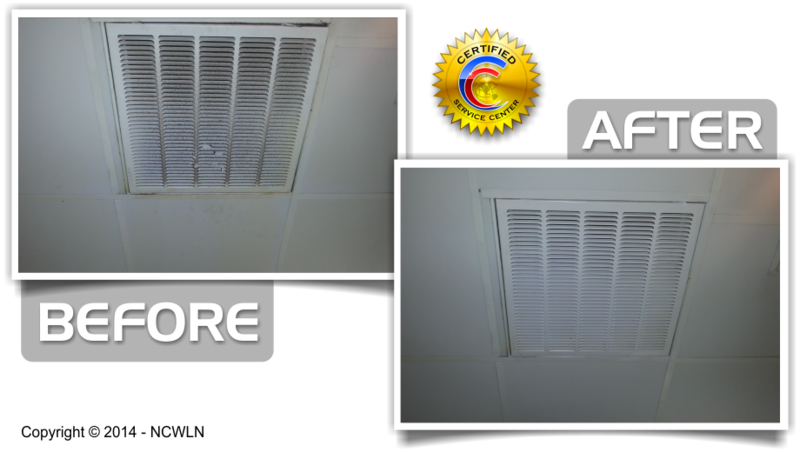 Because you can Clean it for a fraction of the cost, save valuable maintenance dollars and the Environment at the same time. 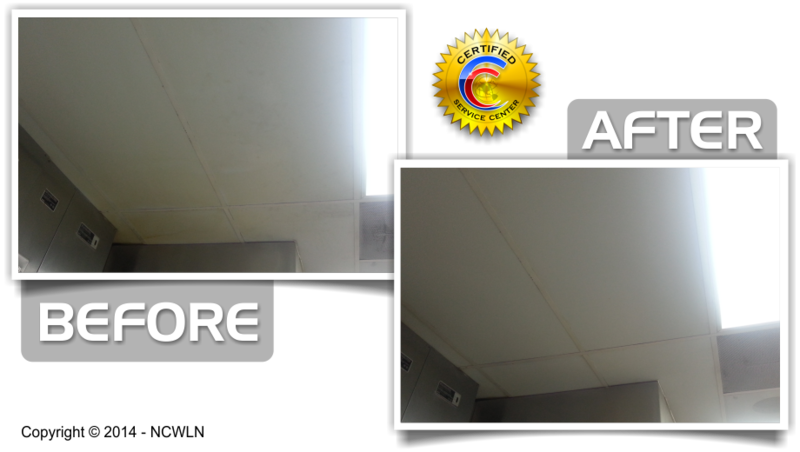 Scott Caruso and The National Ceiling, Wall & Lighting Network has set the standards for Ceiling Cleaning and Restoration from the beginning. 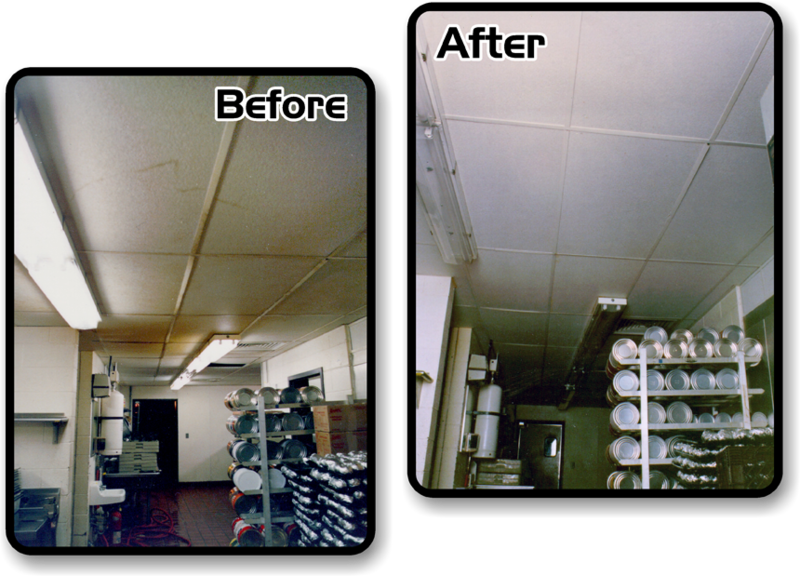 I mean, from the start of the ceiling cleaning industry, since 1987. Check out our other services listed below and find out how we can help you with. NCWLN is...Nationally known for it's Ceiling Experts. 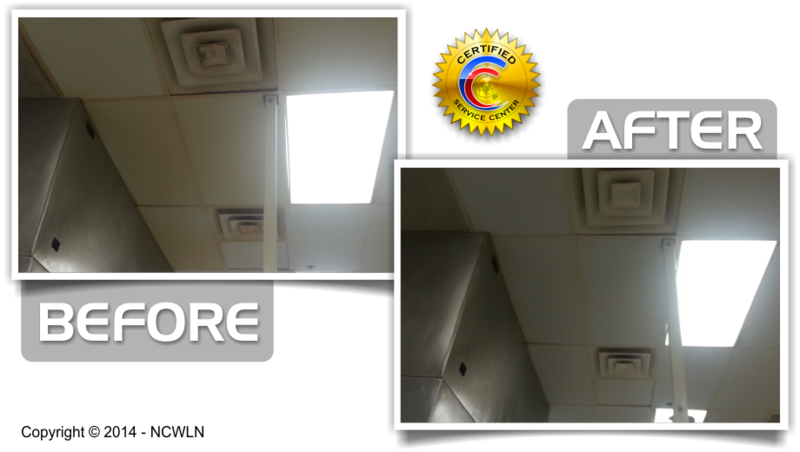 Delivering superior results to Restaurants, Top Retailers, Property/Facility Managers, Corporate Owners and Managers, General Contractors, Manufacturing, Industrial and Top Fortune 500 Companies around the World. 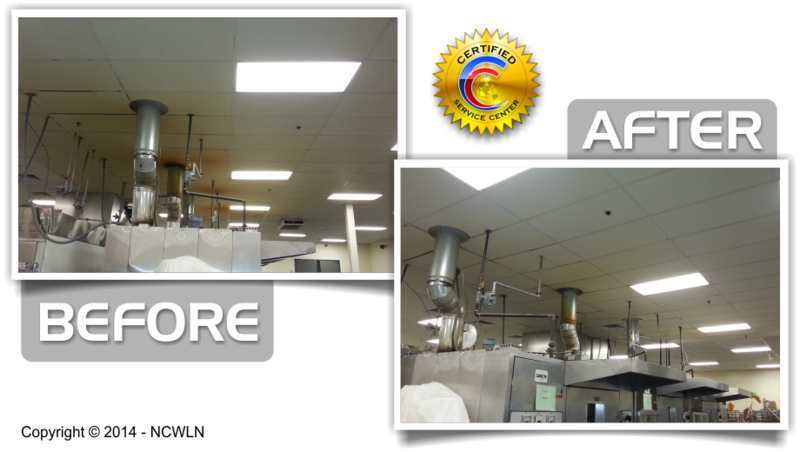 NCWLN can clean your Exposed Overhead Structures to make your facility clean and brite while operating in a 24-hour facility environment or manufacturing plant. 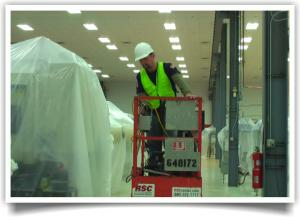 Our Certified Trained lift technicians have spent thousands of hours operating in some of the hardest to reach area's. NCWLN can handle your specialty cleaning needs for some of the most delicated cleaning requirements like Tiffnay stain glass panels to Domes and Archways in hotel and casino's to just about anything that requires an expert in specialty cleaning, we can help you. NCWLN Wall Cleaning Services can insure you pass any Board of Health inspection. 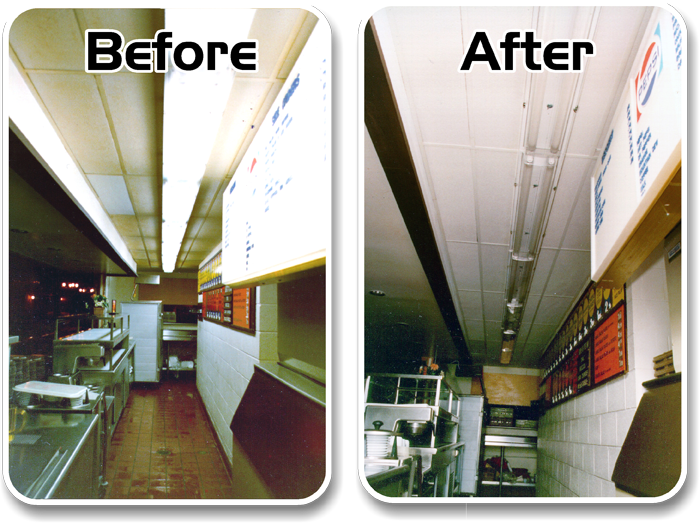 Our exclusive products and systems can save you valuable time and money. 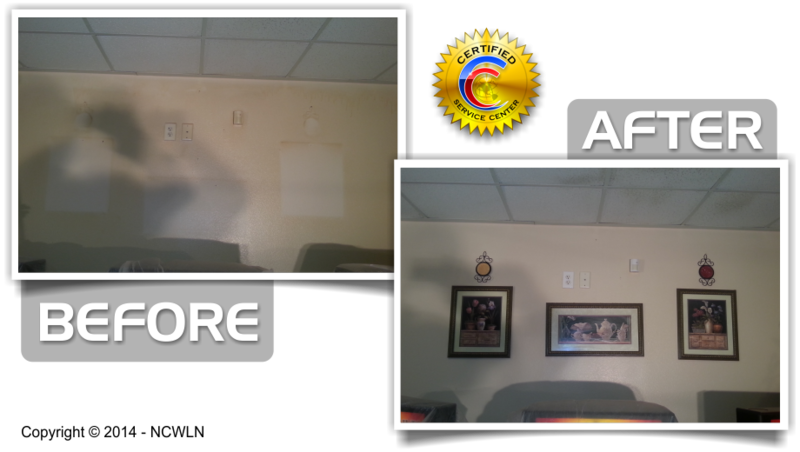 We Clean all types of walls. 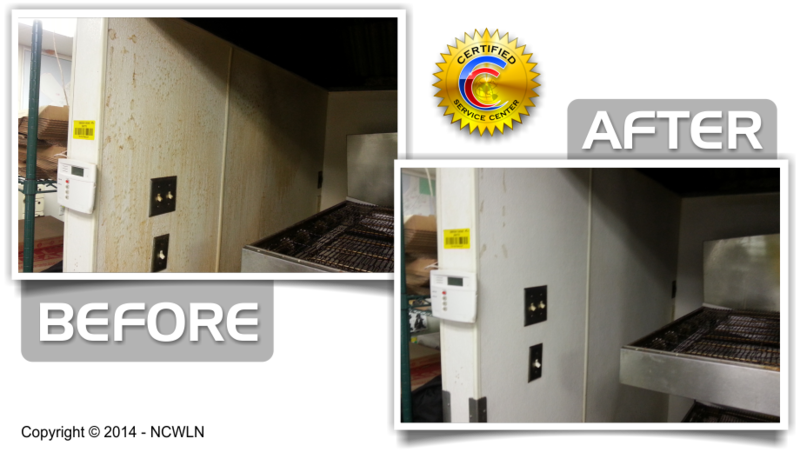 From Fiberglass Reinforced Panels (FRP) to painted block and just about any other surface. NCWLN is...Nationally known for Ceiling Restoration, which is not a fancy term for ceiling cleaning. 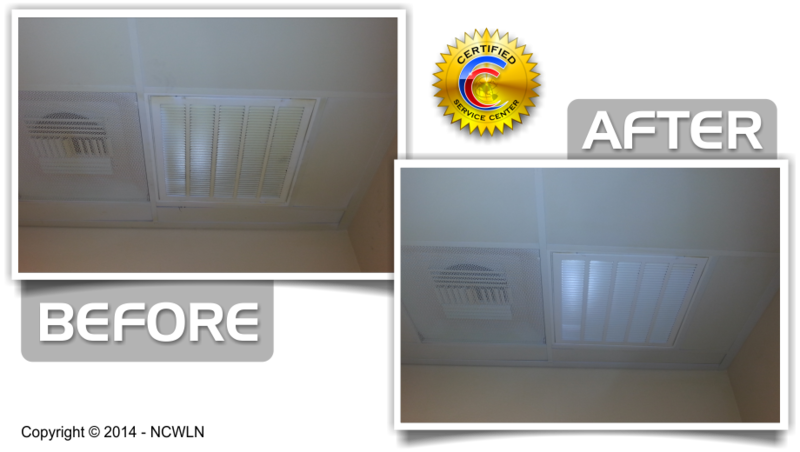 Ceiling restoration is about restoring your ceiling system to look like new without the use of paints or coating that do nothing more than cover up the dirt and ruin the ceiling grid system. NCWLN Knows Lights. 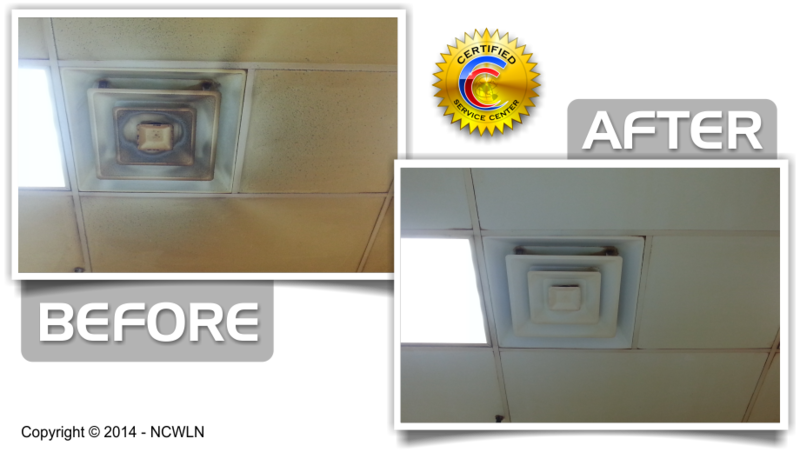 We have cleaned, re-Lamped and retrofitted millions of lights. 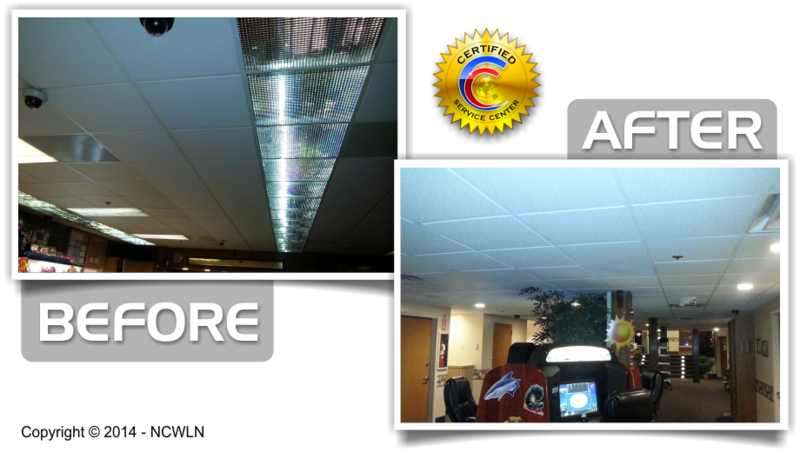 From T-8 & T-5 Retrofit Kits, Exit Signs, Reflector Spots, Compacts, LED's. 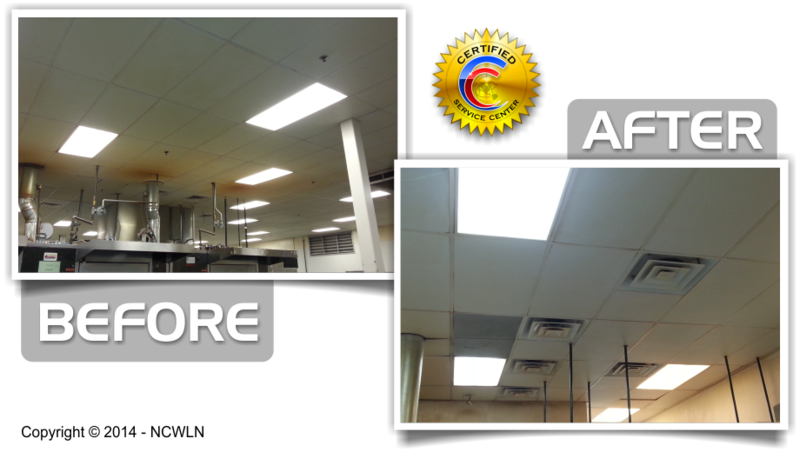 We can help with your energy reduction using the best possible lighting available today. 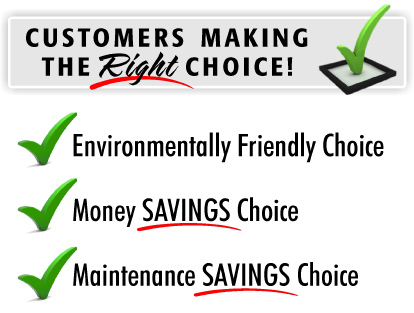 NCWLN is committed to saving energy and the environment. 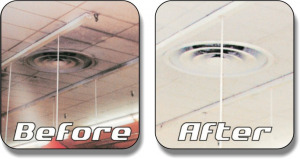 Our lighting energy reduction measures, coupled with manufactuing savings and energy savings for replacing acoustical ceiling tiles by recycling has saved millions of dollars over the alternatives. NCWLN Recycling-in-Place Program for Acoustical Ceiling Tiles. The RIPP Program, can save your corporation from adding to the already over filled landfills. 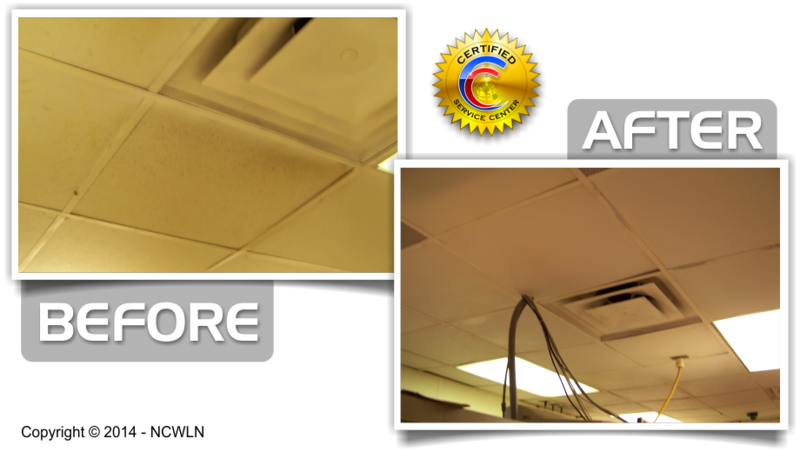 By Recycling your acoustical ceiling tiles in place you will not only save the environment but your corporations money as well. 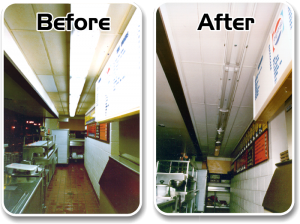 Simply stated.......Caruso Care's, National Ceiling, Wall and Lighting Network has been the best since 1987, we have set the standards that others have only strived to meet. 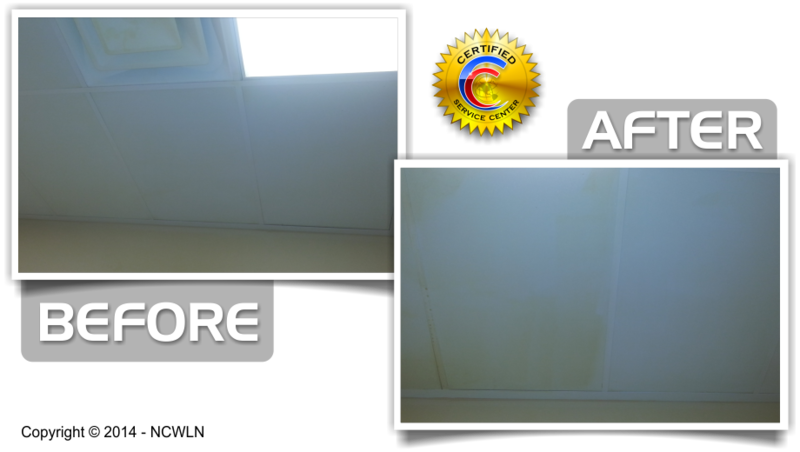 Using our exclusive ceiling cleaning techniques and products has set us apart from the rest. Our competitor's have tried to copy and duplicate us and have failed. Why? It's like a special recipe (like KFC) that only we have. 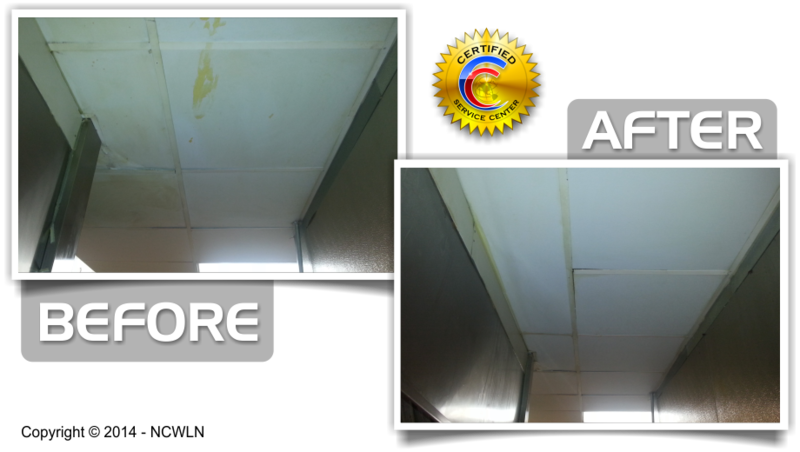 Our exclusive ceiling cleaning formula's can't be compared, our ceiling cleaning methods deliver superior results on the toughest and largest facility cleaning jobs, without any mess, and, with superior results, time after time, after time. We are the Best and We can prove it. 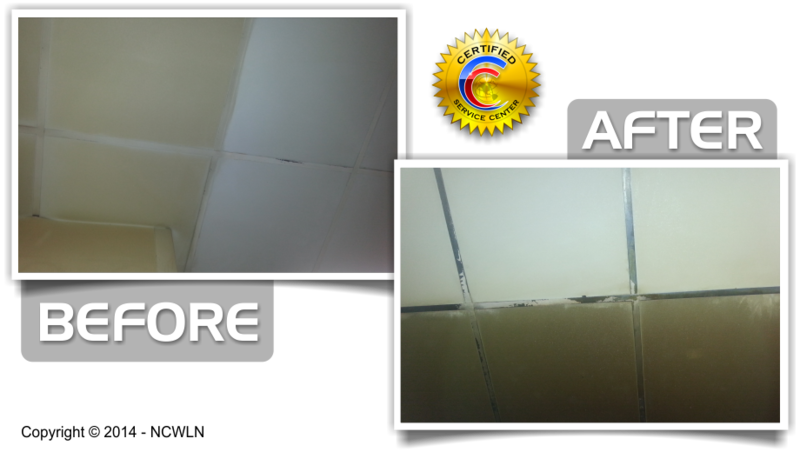 Find out for yourself why so many customers trust their Specialty Cleaning and Services needs to NCWLN; we deliver better results time after time. Just ask our customers, FORTUNE 500 COMPANIES, WALMART GENERAL CONTRACTORS SUCH AS CD BARNES & ASSOCIATES, TRIANGLE, JVK CONSTRUCTORS, AMERICAN CONSTRUCTION, KMART, TARGET, SEARS, MEIJER, DUKE-WEEKS, INTERNATIONAL COMPANY'S SUCH AS AAFES AND HERFF JONES TO GREAT RESTAURANTS SUCH AS DON PABLO'S (see video) HARDEE'S, MCDONALDS, BURGER KING, RED LOBSTER, BAHAMA BREEZE AND MANY MORE. Learn more about featured References and Case Studies. 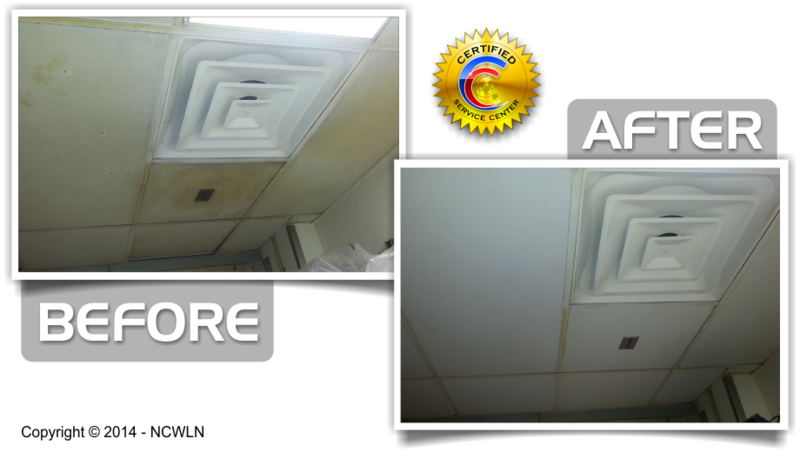 "How does the process work when cleaning the ceiling"
First, we carefully cover everything and protect all the merchandise and equipment, and then, we carefully remove dirt and heavy diffusers dust. 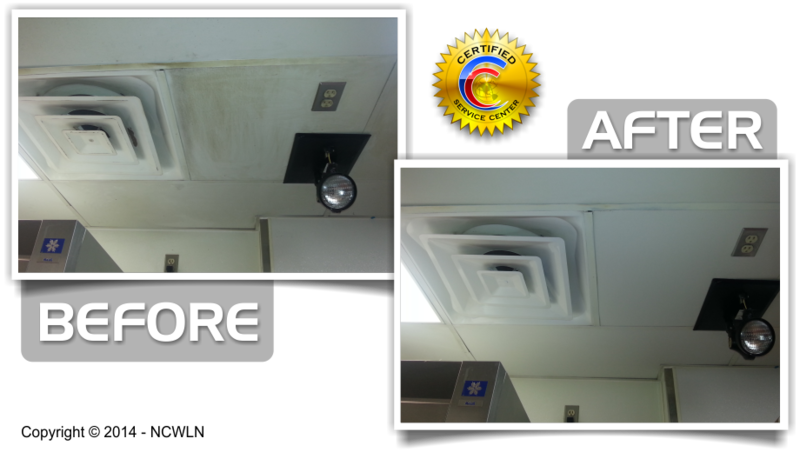 Then by using our exclusive Spray Station 10 ceiling cleaning equipment we apply our Perfect Mix™ environmentally green ceiling cleaning solutions, it emulsifies and cleans the dirt and pollutants from the ceiling tile restoring it to a like new condition. 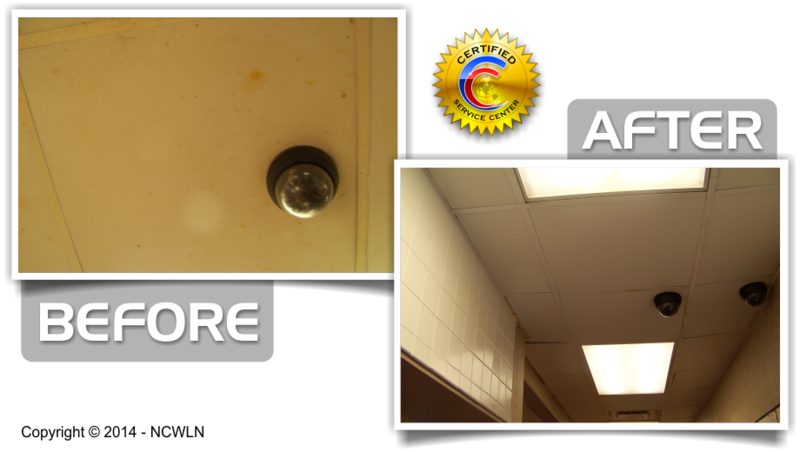 Then we detail all other parts like diffusers, sprinklers, and grids "to shine." 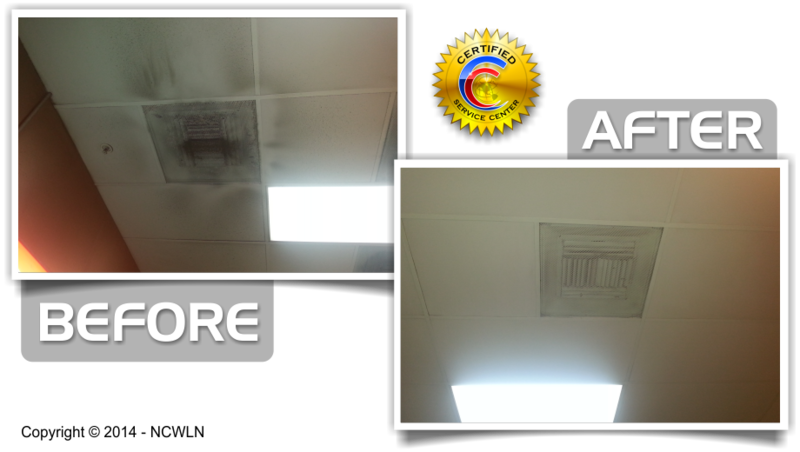 Ceiling Cleaning includes the clean of the acoustical ceiling tile and grid system, diffusers, sprinklers and speaker gills. 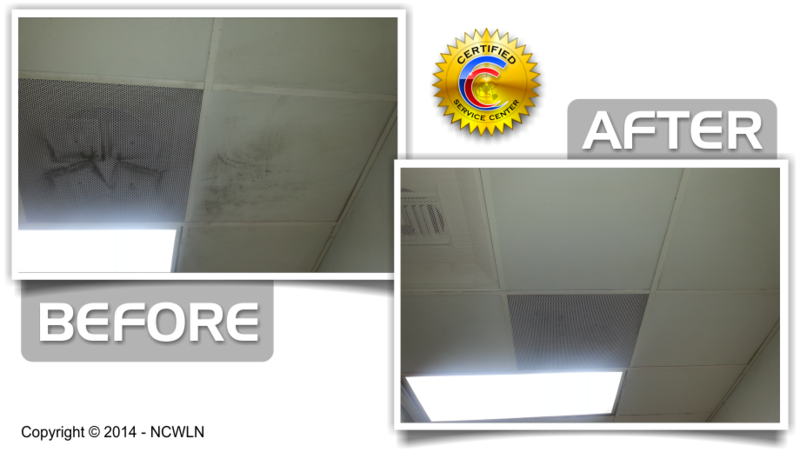 By using our exclusive ceiling cleaning products and equipment we are able to remove and eliminate nicotine, dirt, grease, dust mites, smells and odor and soot from your acoustical ceilings. 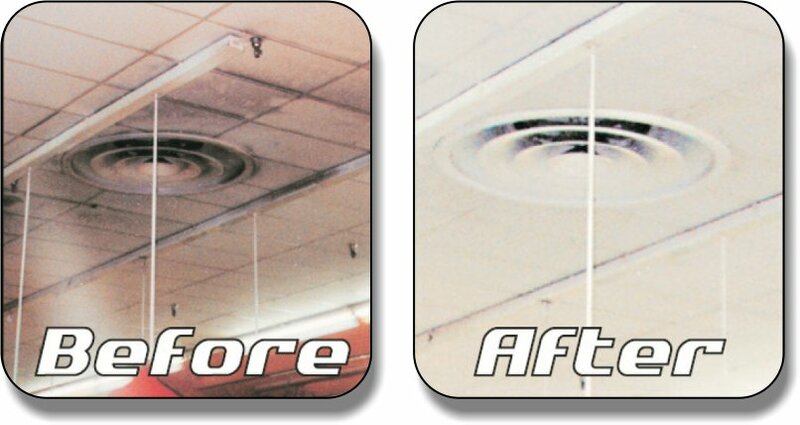 We have restored millions of square feet of ceilings, delivering results to thousands of customers. 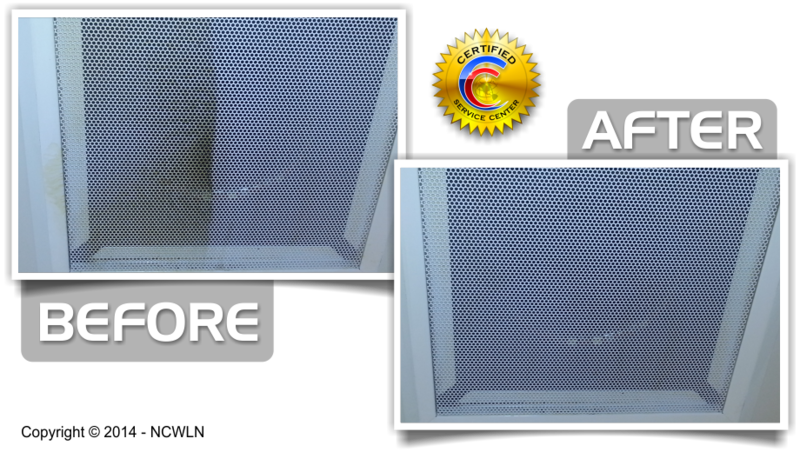 Call and find out why - 877-763-1471 or Click here and tell us about your project! 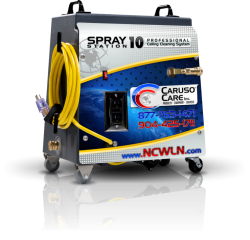 Caruso Care, Inc. also has the capability to do high reach cleaning, beams & pipes cleaning, diffusers cleaning, grid systems cleaning. 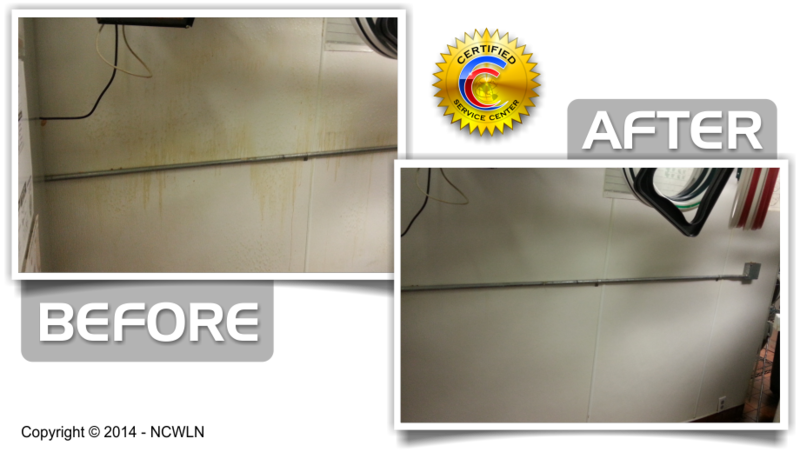 Again, our services, products, and equipment can handle your toughest cleaning jobs. 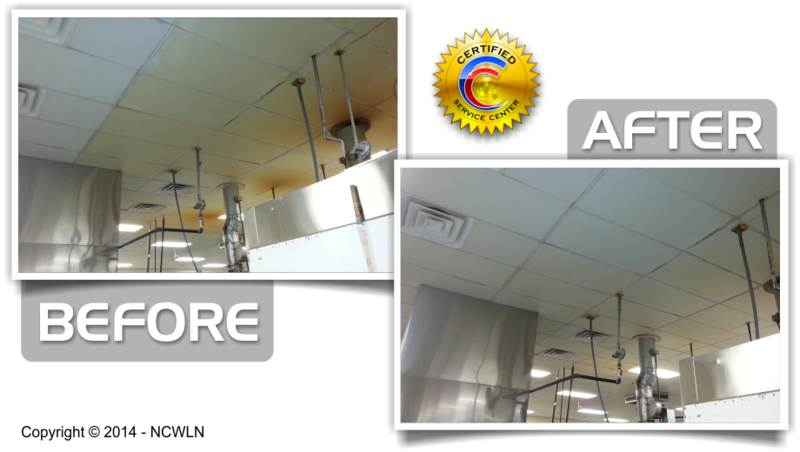 Everything from ceiling cleaning, all types of acoustical ceilings, exposed overhead structures, high walls, beams, pipes and other structure cleaning, tile floors, brick, block, FRP, dock doors, carpets, fabric partitions, furniture & panels, fire damage, light fixture cleaning, 1x4 – 1x8 – 2x4, cleaning for HID’s, HP’s, MH’s, light cleaning of spots and compacts, and reflectors and more. 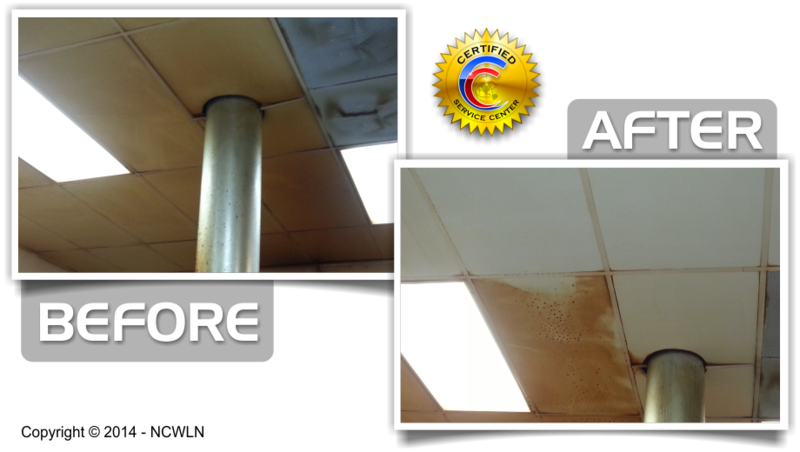 Caruso Care, Inc. is recognized as the foremost expert in the ceiling cleaning, acoustical ceiling restoration, wall cleaning, light fixture cleaning, exposed structure cleaning, and other specialty cleaning business. 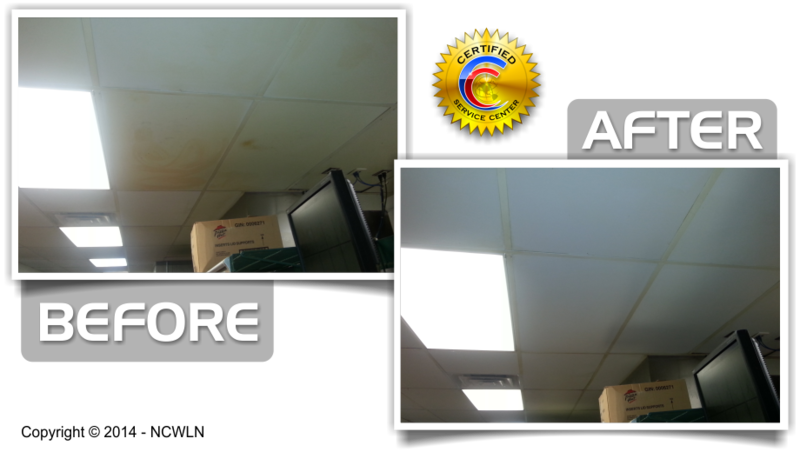 Scott Caruso and his company has been on the cutting edge technology as it pertains to, products, services, systems, equipment and software for the acoustical ceiling cleaning and restoration industry, wall cleaning technology and lighting Services. 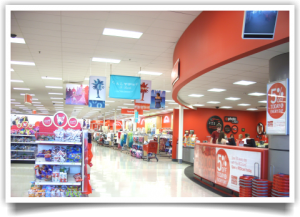 Our Company was the first to handling large facilities like, Grocery and Food Industries, Retail and Shopping Areas, traveling the country, one state at a time, from New York to California, From Michigan to Texas, and we have many success stories to tell you about. 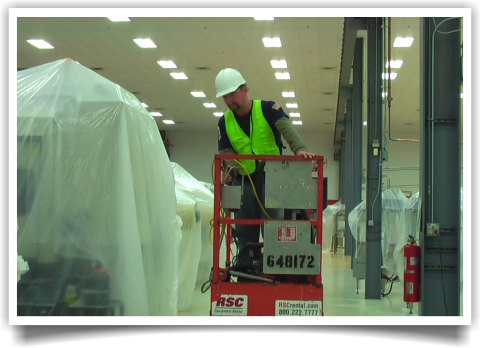 Our success in developing products, services and systems for servicing large clients nationally provides us a level of expertise, knowledge, and real world life experiences that not many can boost about. Scott Caruso and his leadership in this technology revolutionized the way that facility managers looked at ACOUSTICAL CEILING REMODELS AND MAINTENANCE. Thanks to his Ceiling Cleaning & Restoration educational materials, leadership and marketing skills, most companies now know more about CEILING CLEANING AND RESTORATION SERVICES and select the best alternative, CLEAN IT, rather than painting or coat the ceiling, or even a more much expensive option, replacing the ceiling. 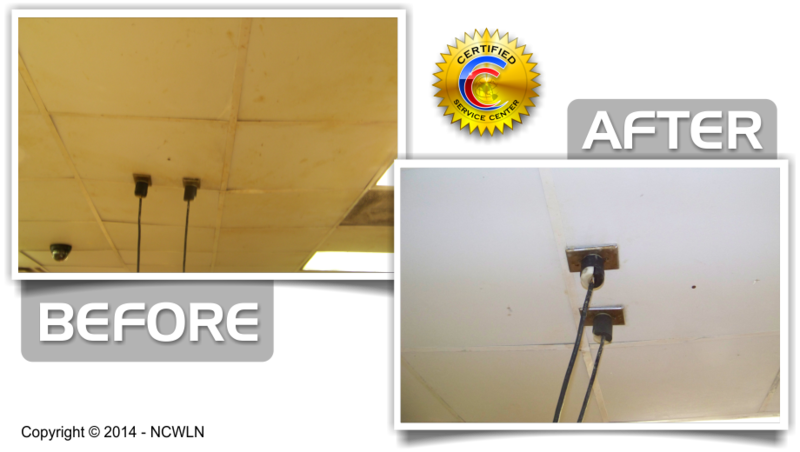 Clean your Ceilings, Walls & Lights.